Berlin, October 26, 2017 – HAFERVOLL is this year’s winning SevenVentures Pitch Day startup. The Cologne-based startup, which produces handmade muesli bars without the use of any additives, beat the stiff international competition at the DLD Berlin and snapped up a lucrative media package worth millions. It is now the seventh time that SevenVentures, the investment arm of the ProSiebenSat.1 Group, has organized the lucrative startup competition. In this year, for the first time, the award is focused on promoting high-growth B2C startups with physical products and a scalable business model. The prestigious SevenVentures Pitch Day has already helped numerous companies like Withings (now Nokia Health), Tinkerbots or GetYourGuide successfully launch their products on the market and, according to Forbes, is one of the most important startup competitions worldwide. As this year’s winner, HAFERVOLL can look forward to receiving a media package from the ProSiebenSat.1 Group, which includes a TV advertising budget worth millions along with EUR 40,000 for commercial production and EUR 200,000 for online marketing. In addition to HAFERVOLL three other startup competitors presented their ideas in a 4-minute pitch, attempting to convince the panel of experts – headed by TV host Joko Winterscheidt and SevenVentures CEO Florian Pauthner – along with the audience: domani develops natural and fair-trade hyaluron-based skincare products using pure vegan ingredients under the brand COLIBRI COSMETICS in Frankfurt. PHENICOPTERE, based in Warsaw, developed its product GLOV with the intention of making makeup removal a breeze, using nothing but water. In addition to New York entrepreneurial spirit, RISE BREWING offers cold-brewed coffee-to-go in a can and fresh cold coffee on tap for offices, restaurants and cafes in the USA – organic, GMO-free and fair trade. 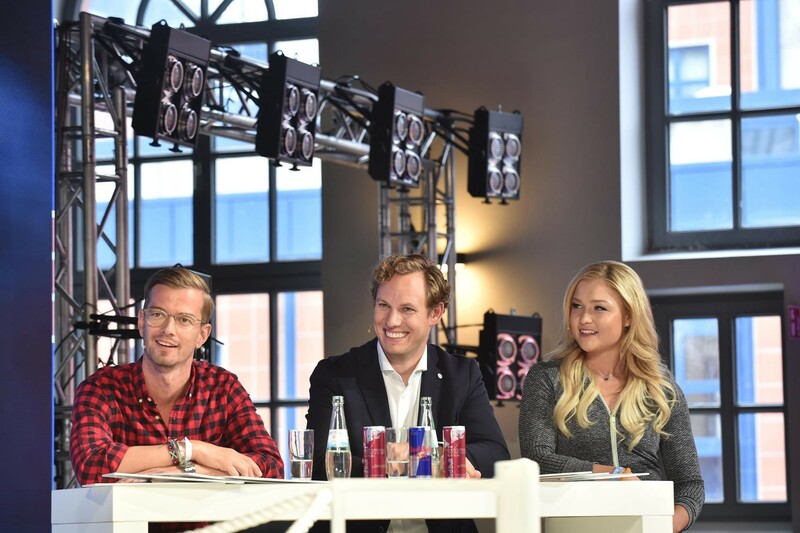 The hosts, TV personality Steven Gätjen and fitness blogger Sophia Thiel, welcomed the four finalists to the DLD stage with specially selected introductory music. In the first round, two candidates each engaged in a direct duel. When the votes were counted, the clear favorites of the expert jury and the audience were: HAFERVOLL and GLOV. In the end, HAFERVOLL was able to deliver the most convincing presentation and beat the competition hands down in the final round.